Rabun County Republican, Matt Gurtler is pleased to announce his run for State Representative for House District 8. Last week current State Representative Stephen Allison announced he would not be seeking re-election after 8 years of service. Matt is graduate of the University of North Georgia, in Dahlonega where he participated in the ROTC program and received his B.A. in History. He is also a certified National Matt Gurtler Announces Campaign for State Representative RifleAssociation instructor and an avid outdoorsman. Matt made his offi- cial announcement Friday morning February 5th at the Movers and Shakers meeting at Mary’s Southern Grill in Towns County. 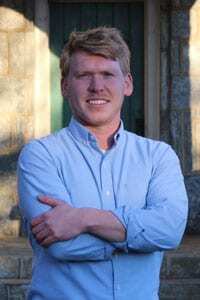 “I look forward to getting to know more of my neighbors here in the mountains of Northeast Georgia over the next several months of campaigning, and hope to earn their trust and support at the ballot box on May 24th.” Learn more about Matt Gurtler and his campaign by visiting www.MattGurtler. com. To contact Matt Gurtler call (706) 490-2285.